For about 12,000 years ago, there was a powerful kingdom called Atlantis. While the rest of the world found themselves in the Stone Age level, the citizens of Atlantis had learned astronomy, developed written language and religion and was involved in agriculture. It was an advanced and civilized society but then one day it disappeared suddenly in the ocean and was lost forever. Only a few of the residents survived, but they spread to different parts of the world where they can bring their knowledge and skills built civilizations. It was Plato who first wrote about this unique civilization, but after Plato’s death the story was forgotten for almost 2000 years. First, at the end of the 1800s the story was reborn. At the time European explorers found the remains of magnificent ancient society in various places in the world that had so many similarities that it could hardly be pure coincidence. Pyramids were built on both sides of the Atlantic Ocean, instead of letters they wrote with hieroglyphics, and of all the ways to deal with their dead on, they embalmed them. For many it was unthinkable that these communities had evolved independently. This made it logical to believe that they started out as a unique culture that had spread. Map from 1882 showing how Europe was. Click at the picture for a larger image. Legend has it that the rich and civilized society disappeared into the sea during a single day about 9,000 years before Christ. Since then the story of the well-developed community has lived its own life, but no one has known how the city is buried, although over the years have been several suggestions. Some believe that Atlantis never existed anywhere but in Plato’s dialogues but now, says an international research team that they once and for all can point to the place where Atlantis is located. One of many suggestions is that Atlantis was located in the middle of the Atlantic Sea. The basis for the search for the lost, legendary city was a satellite photo that showed a possible sunken city by one of the largest swamp areas in Europe and to find out if this could be Atlantis scientists used ground radar, digital mapping and underwater technology to examine the ground. If scientists could find the geological formations similar to what Plato and date them back to Atlantis’ time, one would be closer to solving the mystery. The place that was exposed to the extensive investigation is Doña Ana Park in southern Spain, just north of Cadiz. Tsunamis have been documented by researchers in the area for several centuries. One of the biggest hit Lisbon in November 1755. It is difficult to understand that a tsunami can bury land about 40 kilometers inside the country, but that’s what Richard Freund of the University of Hartford, Connecticut says has happened. Freund, head of the research team has been searching for Atlantis, and the 2 year-long hunt was documented by the National Geographic Channel in Finding Atlantis, but the researchers did not find absolute proof of what happened to Atlantis in southern Spain. They had to travel to central Spain to be convinced that the lost city is located below the marsh and mud outside Spain because researchers have found a number of ruins, they believe stem from the residents who survived the tsunami in Atlantis. Those who were not killed by the big wave fled into the country and built new towns in the style of Atlantis, according to the researchers. “The findings of these cities mean that I am convinced that Atlantis is buried under the mud on Spain’s southern coast. We have found something that nobody else has seen before, and gives credibility and meaning to the archeology of these city ruins in central Spain,” Freund said. Atlantis is the name of an island first mentioned and described by the classical Greek philosopher Plato in the dialogues Timaeus and Critias. 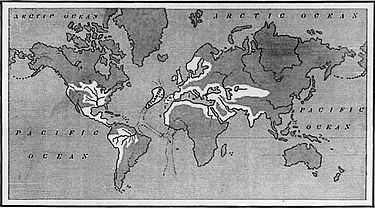 Over 11000 years back (in 9000BC) there existed an island nation located in the middle of the Atlantic Ocean populated by a noble and powerful race. The people of this land possessed great wealth thanks to the natural resources found throughout their island. The island was a center for trade and commerce. The rulers of this land held sway over the people and land of their own island and well into Europe and Africa. Plato, in his dialogues the Timaeus and the Critias, tells of the high civilization that flourished there before the island was destroyed by an earthquake. The legend persists, and societies for the discovery of Atlantis remain active. Plato described Atlantis as an ideal state, and the name is considered synonymous with Utopia. According to Plato, the walls of Atlantis were constructed of red, white and black rock quarried from the moats, and was covered with brass, tin and orichalcum, respectively. Every passage to the city was guarded by gates and towers, and a wall surrounded each of the city’s rings. The island of Atlantis was the domain of Poseidon, god of the sea. When Poseidon fell in love with a mortal woman, Cleito, he created a dwelling at the top of a hill near the middle of the island and surrounded the dwelling with rings of water and land to protect her. Greek myths tell us that Cleito gave birth to five sets of twin boys who became the first rulers of Atlantis. The island was divided among the brothers with the eldest, Atlas, first King of Atlantis, being given control over the central hill and surrounding areas. Beyond the city lay a very fertile plain 330 miles (530 km) long and 110 miles (190 km) wide surrounded by another canal used to collect water from the rivers and streams of the mountains. The climate was such that two harvests were possible each year. Once in the winter fed by the rains and once in the summer fed by irrigation from the canal water. For many generations the Atlanteans lived simple, virtuous lives. But slowly they began to change. Greed and power began to corrupt the Atlanteans. When Zeus saw the immorality of the Atlanteans he gathered the other gods to determine a suitable punishment. Soon, in one violent surge it was gone(most probably a deadly earthquaqe but the reason of its destruction could be a volcanic eruption or a tsunami). The island of Atlantis, its people, and its memory were swallowed by the sea.